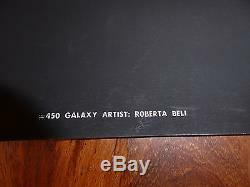 Vintage unhung or used Roberta Beli blacklight poster from 1967 titled The Galaxy. Poster is new old stock from a closed head shop, but may show signs of wear from storage. Great artifact that will look amazing framed. Poster is roughly 33" by 21". 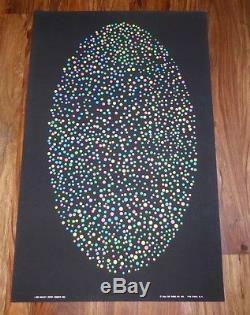 The item "Blacklight Roberta Beli #450 Galaxy 1967 The Third Eye Poster Unused Vintage" is in sale since Friday, June 10, 2016. This item is in the category "Art\Art Posters". The seller is "jointcustodydc69" and is located in Washington, District Of Columbia. This item can be shipped worldwide. Size: 32 3/4" x 21"